These past couple of days, I've been just flipping and browsing through a lot of my old fashion book collection, and pondering what I'd learnt and how it wasn't the 'One Stop Solution' to my soulful longings. I've been spending so much time especially torn over how the Dressing Your Truth and my color analysis didn't match at all. That bothered me. It bothered me so much. Because, Carol Tuttle's program states and gives a style guideline that is very strict and restrictive on color. If we are a reflection of nature, as showcased in her videos, how is it that being a Type 4, my skin reacts only at its best with vivid Autumn colors? Is nature inconsistent? Does my energetic movement somehow contradict the pigments in my skin? There's actually a post I've been mulling over forever actually, which sort of pin points to the same problem that I'm having as the web-cartoon's author's fashion and style journey, that coincides with this particular topic. 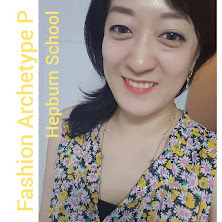 There is a Korea based author who blogged for five seasons and launched books from these awesome web-cartoons called 'Dress Code', the main character which is herself presented in a cartoon form, embarks on a self-explorative journey to express authentic self via fashion and personal style. It covers all the good stuff one can find in most of the major image consulting related articles and contents, ranging from your own body shape to color analysis to wardrobe planning and organizing. Anyhow, I did find a different inspiration though tonight, from Ms. Rees which is clearly going to help me transition from my Uh-I-Did-DYT and Yeah-I-Am-A-Striking-Autumn-Palette but so what? phase to a much more constructive phase! Ok, so you have analysed your complexion, worked out which one of the 12 seasonal types you are the closest to, and have explored your recommended colour palette. What’s next? Finding your type and colours is easy, figuring out what to do with that information is the tricky part. Are you supposed to throw out every item in your closet that does not belong to your recommended palette (short answer: no)? What if that palette does not match the one you developed as part of your style concept? And what happens if you simply don’t like the colours that supposedly suit you so well? In this post, I’m going to address all of these concerns and tell you my perspective on how to utilize your colour palette, although that perspective might differ a little from what professional colour analysts would tell you. My no. 1 point is that colour analysis is just one of many tools or techniques that you can use to define your personal style and build a wardrobe that perfectly fits you and your lifestyle. Try it out, implement certain parts and ignore others, bend rules or follow them to the letter, whatever works for you. Can we get a Hallelujah~! on this please? Especially on that Rule Number 2? The color analysis is constantly evolving and some of the really refined ones have upto 50~60 categories. With so many sub-categories. My personal favorite is the Rule 2. I think self-expression needs to be left wide-open for people to make on their own. Yes, I know Carol Tuttle mentions this too, that a lot of the Type 4 people will do this ANYWAY, they like to be their own authoritay! :-) Yeah, so be it. And Rule 3, my local color analyst told me this already, and she said that I could wear non-palette colors for bottoms and shoes, away from my face. Your colour palette should never restrict your ability to express your aesthetic ideals through your wardrobe. If your recommended colour palette does not match your style concept, you need to analyze each shade individually and then make a decision: wear, avoid or tweak. If a certain shade really does make you look sick and just plain bad, try to find a replacement that still captures the colour’s essence but fits your skin’s undertone a little better. Use the 12 palettes like a navigation system: If, say, you love the pink in the light Summer palette, but are a warm Autumn, move along the palettes towards your own type until you come across a potential alternative, e.g. the neutral plum shade in the soft Autumn palette. Your own palette might not include your wanted colour, but perhaps your palette’s neighbours do. If a colour does not look amazing but also not horrible on you, then I say go for it! I’m a light Spring so black is definitely not one of my best colours, but I love it and it’s an important part of my style concept. If I want to wear black I will just put on a little more make up or use a few other tricks (described below) to make it work for my complexion. You rock my confused world tonight. Labels: Color Theories for Fashion and Style, Figuring Out Your Style, Helpful insights, post-Color-Analysis, post-DYT help, Tweaking Your Color Palette, Zero in On Your Signature Style!